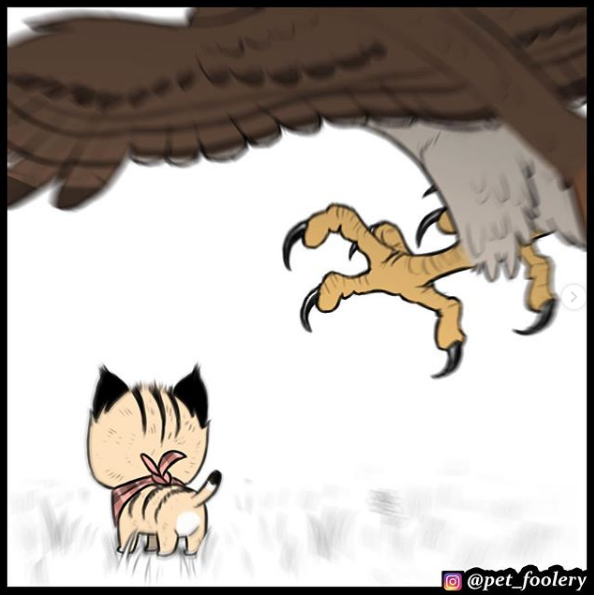 Brutus the War Dog Vs The Evil Bird! 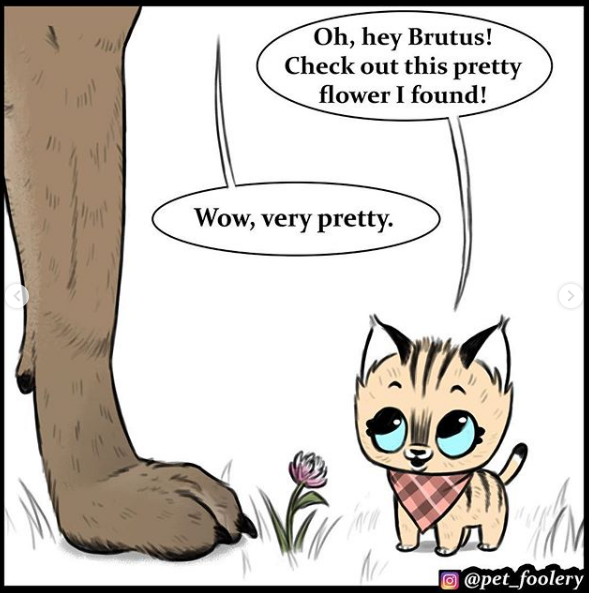 As you already know, the series ‘Brutus and Pixie’ starring a tough Dog and an innocent cat are rapidly gaining popularity. 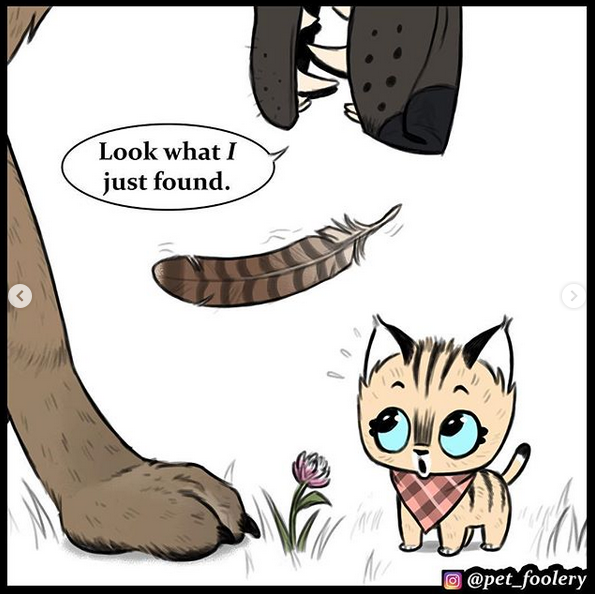 With a current fan-following of over one million on Instagram, this comic series has definitely proven its worth! And as you may have already guessed by the title, we are back with yet another new comic strip! If you are new to these series, you might want to go back and check out the previous comic strips as well. 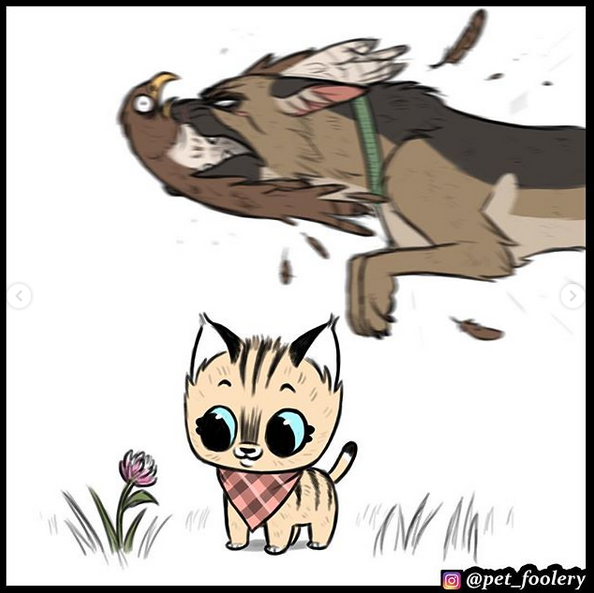 Anyway so, this time around, Pixie is in danger as a vicious bird approaches to attack her. 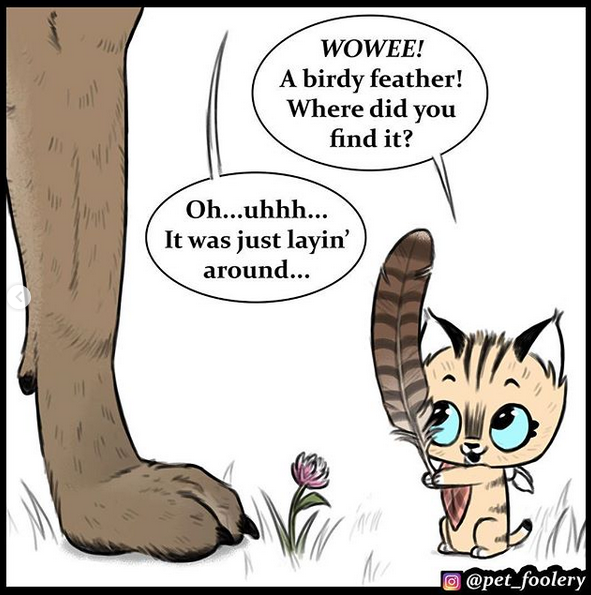 With Pixie’s entire focus elsewhere the bird sees her as easy prey. However, its the evil bird that needs to say his prayers as he is unaware of what danger awaits HIM! Scroll on below and check it out! Here comes the evil bird. Bam! Brutus takes down the bad bird in a snap! Innocent little Pixie doesn’t even know what happened. I guess that’s what big brothers are for. Love at its finest, indeed. Brutus for the win! 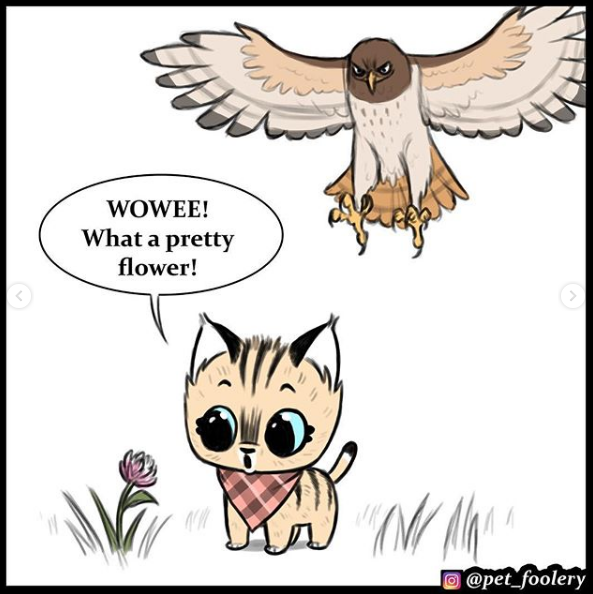 Did you guys like this comic strip? Let us know in the comments below and also share it with your friends!